"Hiawatha Valley Predator Bait" - Long distance predator bait that has been used with great success across the nation for the past 20+ years. Bait first made in 1971, but wasn't on the market for many years until trappers from every part of the country had helped test it and gave it their over-whelming approval. This is not your basic slightly aged meat bait, but rather a blend of rodent meat, castor, fox, 'rat, and mink glands, and several other ingredients that to my knowledge aren't in any other brand of bait. 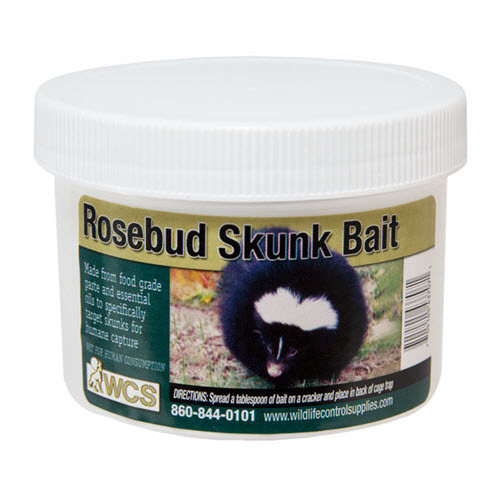 Many thousands of mice go into this bait and what could be more natural than that? This bait has been aged to a good taint and is very loud. It works very well alone or in connection with a good gland lure and is recommended for the dirt hole set. For those of you who fancy the flat set, I would recommend "Minnesota Valley Predator Bait" which contains the same ingredients but is only aged to a slight taint. 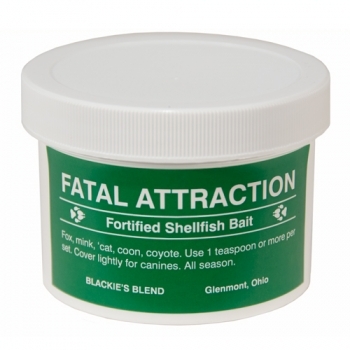 Order this bait early as it nearly always run out. For red fox,coyote and wolf. By far a top seller.